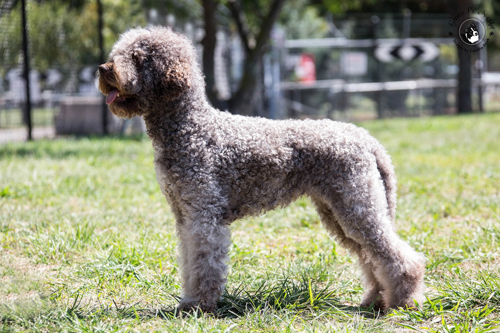 It will be ribbons away and harness’ back on next month as Macenmist’s two Australian Champion Lagotto Romagnolos embark on their winter activities – finding the Black Perigord Truffle on our regular truffle hunting events. 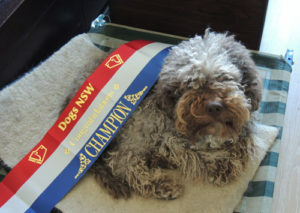 For those of you have met our first truffle dog, “Fahren”, you will know that she has her championship title and has retired from the show ring to concentrate on being a full-time truffle dog. “Tawdiffu” on the other hand has been watching what is happening around the show society from the comfort of her own camp chair. Or anyone else’s if the vantage point looks cosy. She enjoys the company of her German Shepherd companions and apart from riding in the car she likes venturing out and doing something new. 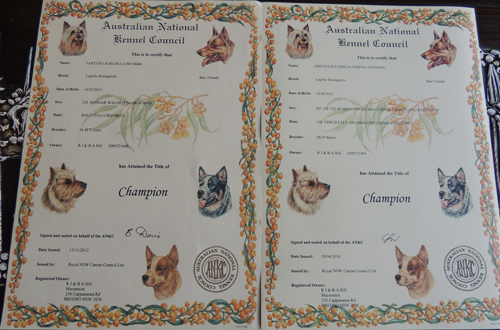 Just under 3 years of age it’s now her turn to add the Ch at the beginning of her pedigree name, marking her as a Champion. A big thank you to Caleb who picked up Tawdiffu’s lead and took her into the ring at her last show before the 2018 truffle season. We will now have to wait for the spring before venturing out and about the show circuit again. 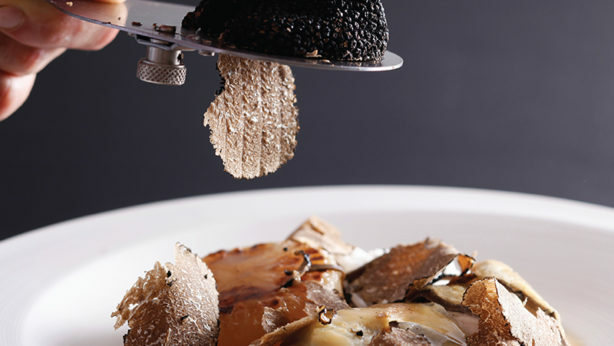 Inspiration Truffle Hunt, including an 8 course degustation feast!